Oops, so I completely forgot that the Screen Actors Guild Awards are tonight. They don’t air in Canada until Sunday, but the awards will be dished out tonight at 5 pm PT on TNT and TBS. (Hopefully there will be a live stream.) Anyways, tonight is especially exciting because the awards will truly show if American Hustle is the frontrunner. Hustle didn’t do too well with the actors as far as a nomination tally is concerned, as it received a scant two nominations (Best Ensemble and Best Support Actress for Jennifer Lawrence), which is especially notable since it wasn't competing with the "comedy" The Wolf of Wall Street since the Scorsese pic wasn't ready for SAG voters. The actors showed a bit more favour for other Oscar contenders by giving four nominations to 12 Years a Slave and three nominations to fellow Best Ensemble contenders August: Osage County, Dallas Buyers Club, and Lee Daniels The Butler. I personally don't believe that the actors equate Best Ensemble with a Best Picture prize, so any of these films could conceivably win. American Hustle is the likely winner in spite of having the lowest tally of the ensemble films: the film wouldn't work at all without the cast, and the whole might be better than the sum of its parts. Wouldn’t the night take a fun turn if August, Dallas, or, better yet, Oscar snubee The Butler won the whole thing? 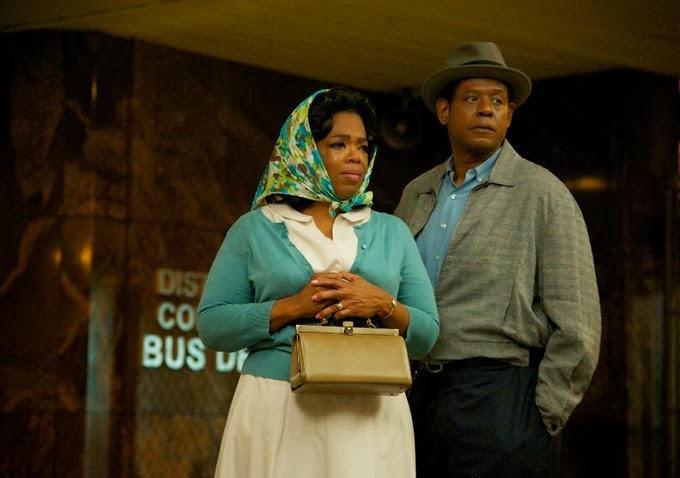 I'm rooting for Oprah even though Thursday's Oscar nominations give a pretty good hint for how the race should pan out. Shoulda been there: It's hard to argue with this line-up, although Greta Gerwig (Frances Ha) and Kate Winslet (Labor Day) would have been welcome surprises. What are your SAG predictions? Which actors do you hope to see win?